When you feel great, a routine physical exam may not have top priority, but it’s the best way to prevent disease. Fan Yang, MD, at Healthville PLLC encourages you to come in for your physical exam because it gives you the chance to catch problems and take steps to stop them from becoming serious. The team at Healthville PLLC also make it easy with timely and walk-in appointments, so call the office in Little Rock, Arkansas, or use the online booking tool to schedule your physical exam. Why are routine physical exams important for adults? Annual physical exams focus on preventing disease rather than treating an illness. With routine physicals, Dr. Yang can detect signs of problems at an early stage, while they’re still preventable or easy to treat. Dr. Yang reviews all your medications, including over-the-counter products and those prescribed by other physicians, to be sure you’re not at risk for drug interactions or side effects. Why do children need regular well-child physical exams? Children grow at such a fast pace that routine physicals are essential to be sure they’re healthy. Beginning at one month, and continuing through their first three years, children have 11 well-child visits at specific intervals. After that, they should come in each year for their well-child physical. This includes checking their height, weight, vision, and overall health. Developmental milestones are also assessed at each visit. The vaccinations needed to protect your child from contagious diseases must be given in precise doses following a specific schedule. Meeting the recommended schedule is the only way to build their immunity. It also ensures your children are up-to-date with shots when they enroll in school. In addition to the routine physical exam, children need a variety of screenings and tests, such as scoliosis screening. What other types of physical exams are available? 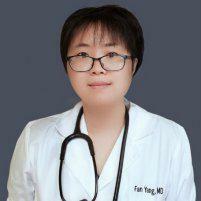 Dr. Yang sees many patients needing a wide range of physical exams. For example, he provides pre-employment exams, school physicals, and sports physicals. The doctor is familiar with the requirements of each type of exam and completes the paperwork you need to enroll in school, get a job, or get back in the game. Dr. Yang offers a variety of specialized testing. As one example, he performs blood tests for allergies. Protecting your cardiovascular health has a high priority at Healthville PLLC, so the team offers electrocardiograms and echocardiograms, using new equipment that provides advanced and accurate results. No matter what type of physical exam you need, you can count on timely appointments. Walk-in appointments are also available if needed. To schedule a physical exam for you or your child, call Healthville PLLC or book an appointment online.